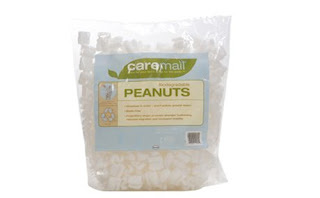 Made from cornstarch and potato starch, these "green" packing peanuts are completely biodegradeable. What I like even better is that they are static free!!! I love Plan Toys and my kids do too. 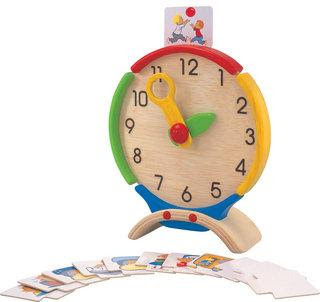 In addition to being an excellent teaching tool, this clock is also environmentally friendly since it's made from plantation grown rubberwood. No batteries needed! 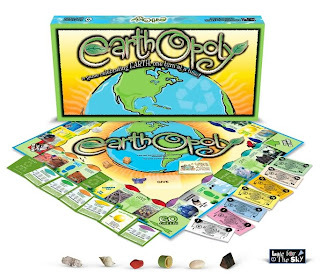 Earthopoly is a fun game for the whole family. It's primary goal is to educate about conserving earth's resources. Made from recycled paper and printed with soy-based inks. Ages 8 and up. 2 to 6 players. 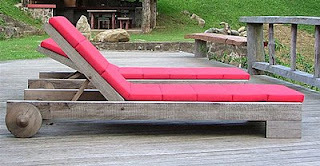 These wonderful chaise longues are made from reclaimed wood by Brazilian architect and furniture designer Carlos Motta. Shown here: Astúrias collection. 96 cm. wide x 200 cm long.